With something for everyone this custom home is exquisite. The attention to detail is admirable. From the tray ceilings, the maple trim & tiled bathrooms to the gleaming oak & bamboo hardwood floors.The eat in kitchen features custom cherry cabinets and walks out to the private landscaped courtyard. 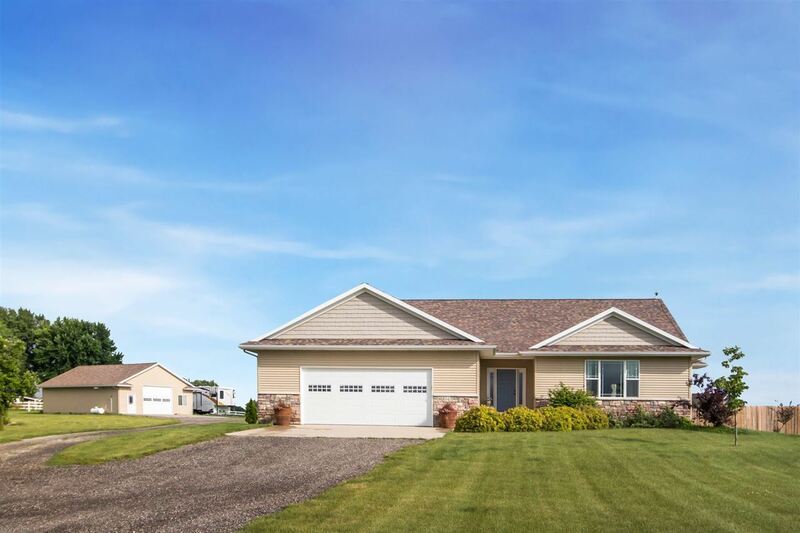 Entertain in the lower level family room with guest bedroom and bathroom.Located on a large acre lot with a heated 30X46 shop and shared pond.Enjoy the quiet, peaceful country like setting.